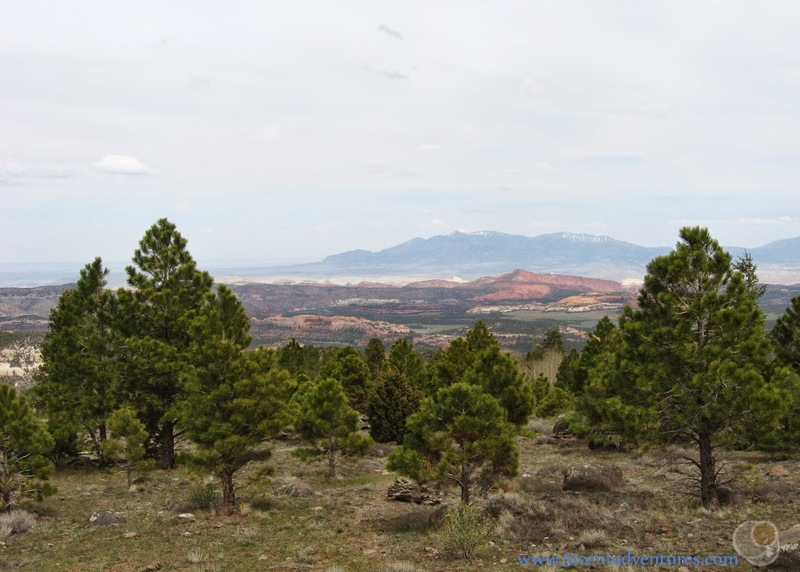 Description: Utah Highway 12 between Boulder, Utah to the south and Torrey, Utah to the north runs through the Fishlake National Forest is a 50 mile stretch of road that climbs to a height of over 8000 feet above sea level. As the elevation changes so does the landscape. There is also stunning scenery every way you look. Location: Between Boulder, Utah and Torrey, Utah in Southern Utah. Driving on this road was part of the fourth day of the Southern Utah Road Trip that my husband and I went on for our anniversary in May of 2010. 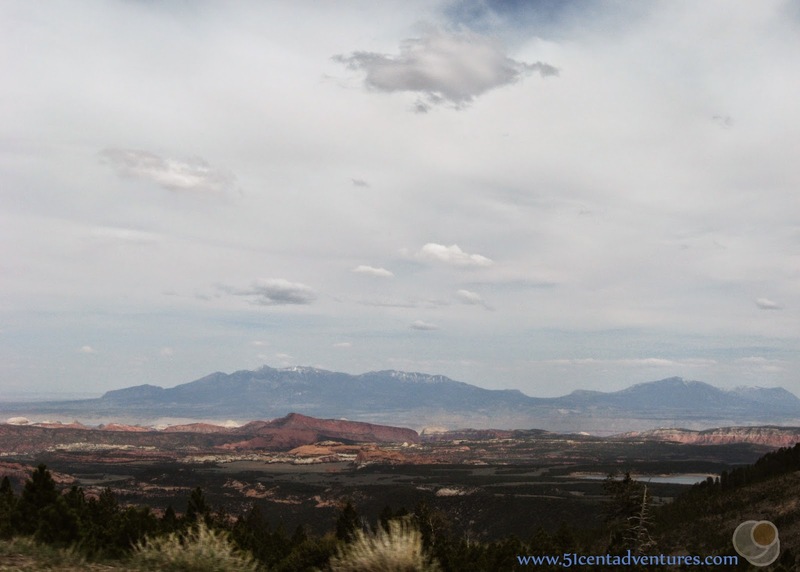 We left Anazasi State Park in Boulder and started driving toward Capitol Reef National Park outside of Torrey, Utah. 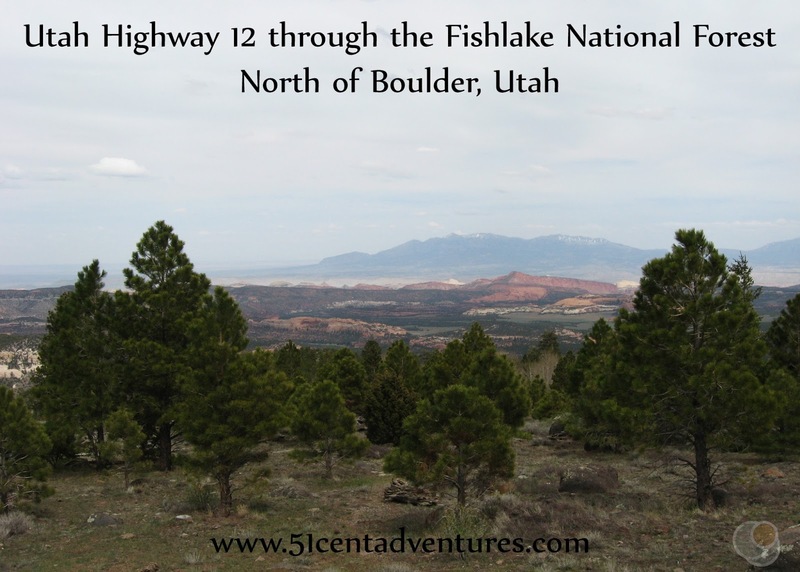 As with our earlier adventure on Highway 12 from Escalante to Boulder, I was completely unprepared for how crazy the road would become as we drove. This part of Highway 12 led up and over Boulder Mountain. The Fishlake National Forest is located north of Boulder. Highway 12 winds through the National Forest as the road ascends Boulder Mountain. The road climbs to over 8000 feet and the landscape changes as you drive. At the bottom of the mountain there are scrubby looking pine trees. On top of Boulder Mountain the pine trees are much taller. There are also many aspen trees. It is considerably colder up at 8000 feet so we even saw some snow on the ground. The view from the top of the mountain is great. You can see the Henry Mountains in the background of this picture. Throughout this fourth day of our vacation we drove closer and closer to the Henry Mountains. We would end up driving around them over the next few days. The Henry Mountains are some of the most remote areas in the United States. 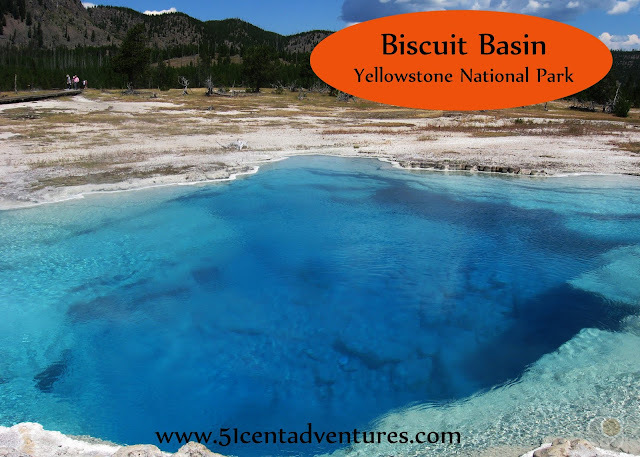 They are home to one of the few free roaming Bison Herds. My husband is intrigued by the Henry Mountains, and so you can bet that one day we will visit them. 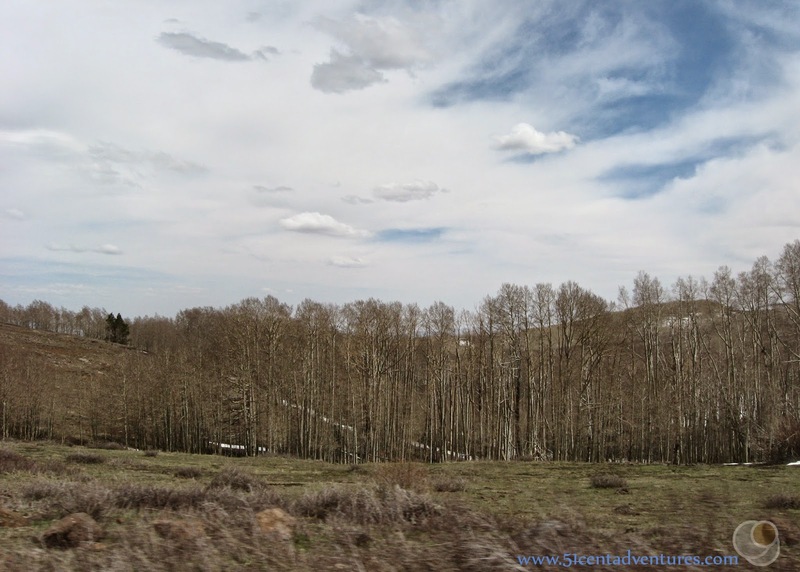 As we drove over Boulder Mountain we passed several recreation areas with campgrounds.. I was impressed that there were developed places to stay in an area that seemed so remote. In the event that you are interested in camping in this area I've gone ahead and made a list of the campgrounds. Click on the names to go to the campgrounds' official sites.